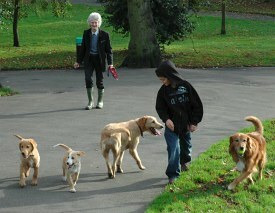 The Friends of Waterlow Park is an independent non-profit local community group concerned with Park issues. It was formed in 1992 under the auspices of Camden Council. FoWP worked with Camden Council and English Heritage to restore the historic park’s splendour helped by Heritage Lottery Funding. FoWP aims to provide a voice for park users and to raise their concerns with Camden Council and other local community and environmental groups. It also keeps members informed about park developments by holding meetings and events. We welcome new members of the Friends. Membership is £5 a year. If you are interested become a friend now. Download a short statement about the Friends.